Top 5 Animated Movies of all times. Animated movies were treated as a separate left out genre when it comes to judging conceptual movies in past as it was often mistaken as a Cartoon movies. However, looking at the graphics level and the story lines, today it has developed its own segment of lovers and has got millions of followers across the globe. The myth that animated movies are only for children has been put a full stop by creative movies produced by leaders of animated sections, say Disney-Pixar/Dream works/Studio Ghibli etc. Here are the 5 best movies which you should not miss, in case if you are yet to watch it (I doubt…!!!). Spirited Away is another masterpiece of a Japanese director, Hayao Miyazaki and produced by Studio Ghibli. The plot of the story begins with a family, of a girl Chihiro and her parents, shifting into the new house. Chihiro is unhappy with this move of her parents. They takes a wrong path and unknowingly enters into a magical world through a tunnel. Chihiro’s parents are converted into pig for breaking the rules of the city. 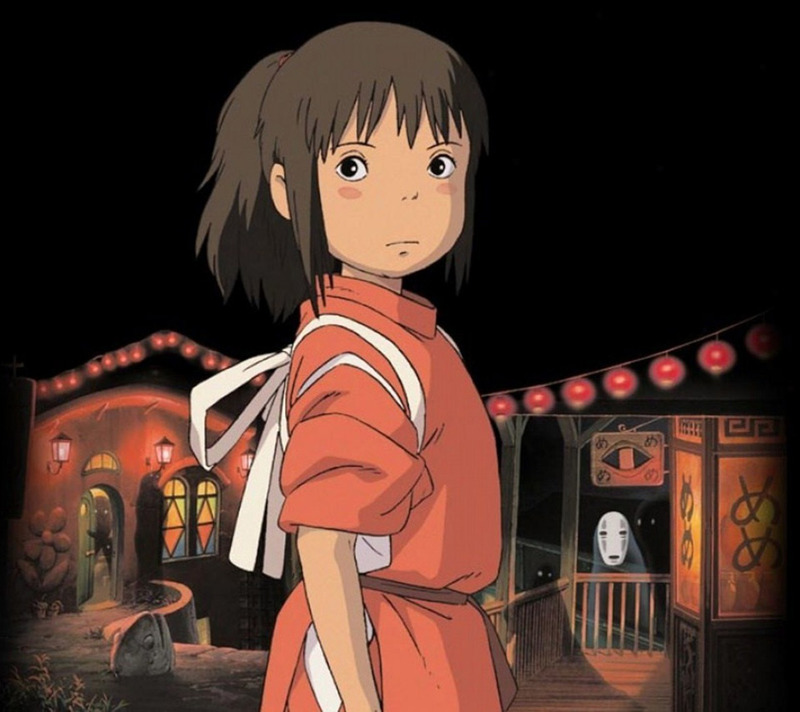 Chihiro’s struggle begins to get her parents back into normal form and the free them out of this magical world. She is being accompanied by a mysterious boy Haku, spirit of river Kohaku, in order to complete her quest. The witch named Yubaba rules the city and tries every possible mean to retain her parents, and inturn Chihiro. Although it’s a cartoon animated movie, the whole plot and scenery takes you in to your own imagination of childhood stories. It gives the thrill of fantasy stories which we all grew up hearing. The movie was critically acclaimed and managed to win 75th Academy award for best animated movie in 2002. Wall-E is a computer animated romantic science fiction movie by Pixar, focused on the emotions of robots with a deep message. Wall-E is a robot who is designed to clean the waste from the future Earth where no life exists, except his only friend ‘A Cockroach’. The twist in the story comes when a female robot, Eva, from outer space is sent on the earth to accomplish a mission of collecting a life on the earth in the form of ‘Germinated Plant’. 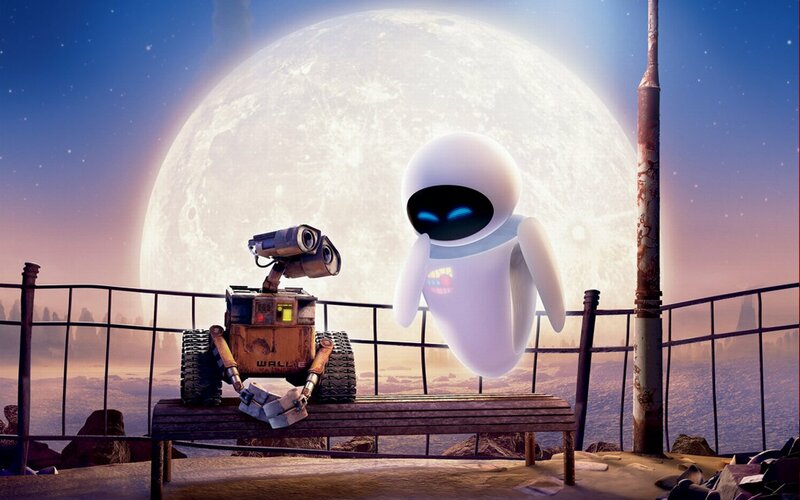 Wall-E falls in love with Eva, however as soon as she gets the plant, she is shut off and is taken away by the space ship. There is a lame human population who has become lazy due to advanced technology and are only supposed to return back to the Earth when there is a proof of life, which Eva has brought. The captain of the ship turns grey and refuse to return back to the Earth. Surprisingly, Wall-E manages to reach into the spaceship following Eva. The robots quest to save the human population and bring them back to the Earth creates such an interesting plot where you find a mix of comedy, emotions and intelligence. Wall-E won Academy Award for Best Animated Movie in 2008 and was debated a lot as to why it was not allowed to enter in to the category of ‘Best Movie’. 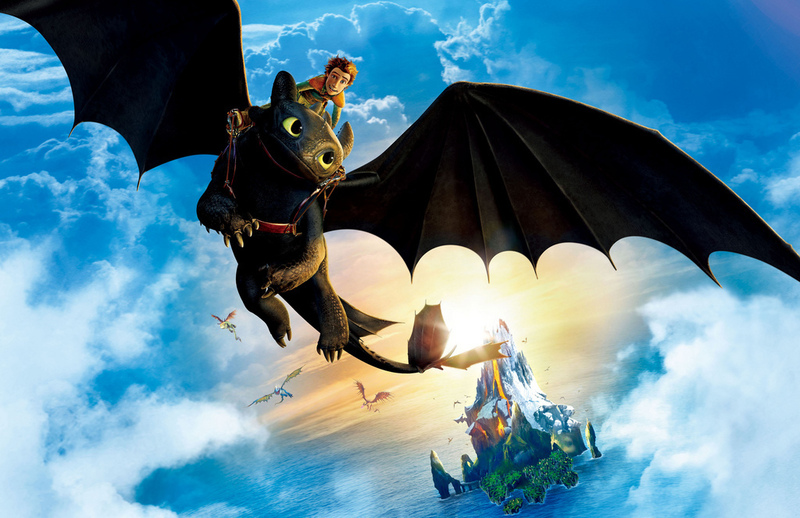 How to train you dragon (HTTY) is a computer animated movie by Dreamworks, revolving around a young Viking boy, Hiccup. Hiccup wants to become a dragon slayer as his whole community and ancestors, but is unable to do so due to lean physique. He has got a dream of chasing a dragon and slaughtering it in order to get the respect in his viking community but always ends up messing things around and making them worst. As usual, by mistake, one day he happens to catch the most desirable dragon by the community which has never been caught or seen by anyone. This dragon, Night Fury, is one of the most powerful which never misses any shot. Hiccup realises that Night Fury is unable to fly due to damaged tail and is caught in a small valley. He observes the dragon for few days and both of them develop a great bonding with each other. Meanwhile, Hiccup also manages to find a way to replicate his damaged tail and develop a mechanism to fly the dragon and develops a completely different bond with all dragons. Soon, Hiccup’s father realises this fact and considers him as a perfidious who has favored dragons over Vikings. They uses Night Fury to reach their nest just to learn that there is a huge dragon controlling all the small dragons to get the food for him. Hiccup and Night fury’s quest to defeat the dragon and take all the Vikings safe out of the island creates an interesting action plot. The end is just as amazing as the bonding of two. the movie was also nominated for Best Animated Feature and Best Original Score in 2010, however lost to Toy Story 3 and The Social Network respectively. This movie shall be a treat for all the pet lovers for sure. The good news for the lovers of HTTY is that part 2 is releasing in coming July. Toy Story 3 is again a computer graphic animated movie by Pixar Studios. The movie is 3rd installment in the series of Toy Story. Although all 3 movies are great to watch (it’s anyway must to get the whole plot), the last part just left you in awe which made it way into the top 5 of our list. The plot revolves around the main character Woody (Cowboy Toy) which is a favourite toy of Andy, who is now going for college and hence is leaving back all the toys. however, he chooses to take Woody along with him and put rest of the toys into the store-room. Unfortunately, the toys are dumped into the garbage bin by mistake which led them to a feel of being thrown away. All the toys co-incidentally reaches a play school which had many other toys in them, lead by pink teddy bear. The play school seemed like heaven for them in the beginning which later on turns out to be a nightmare due to complete shift into the behaviour of host toys. The quest of Woody to free his all friends and take them out safe creates humour, suspense and an emotional bond with the toys. The movie ends with a happy note, yet a sad feeling that the story finally came to a conclusion. The movie could manage to win the Academy Award for Best Animated Movie in 2010 beating another equally strong and competitive movie ‘How To Train Your Dragon’ and Despicable Me. 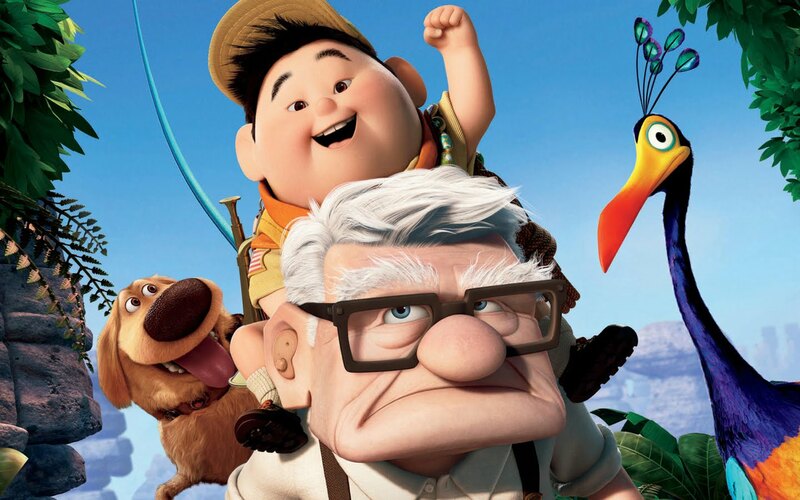 Up is one of the Best Pixar’s movies and can easily be considered as a polished masterpiece. The story just engages you from the beginning till end. The plot revolves around an old aged guy, Carl Fredriksen and a young explorer boy Russel who is seeking to complete his one missing badge for some brave/social cause. Mr. Fredriksen wants to take his home to paradise fall, the land lost in time, so as to fulfill his promise to his wife and achieve the ultimate peace. However, although not planned, situation forces him to march towards paradise fall where he is accompanied by Russel. Carl has always been a follower of Muntz, an explorer, who had been accused of having fabricated the large bird’s skeleton which is only found in Paradise fall. Co-incidentally, Carl and Russel encounters with the similar bird which is about to extinct. The dogs of Muntz are in chasing the bird continuosuly and now its in the hand of Carl and Russel to save it from getting completely extinct by not letting it go into the hands of Muntz. The whole hoopla of saving the large bird yet reaching paradise fall creates lots of thrilling moments where it becomes unpredictable to assume the further actions of the characters. The ultimate emotional scene is when Mr. Fredrikson decides to choose not to place the house at Paradise fall, as wished by Mrs. Fredrikson since her childhood, and utilise it to save the large bird so as to satisfy Russel’s wish. The movie ends with a happier note of Mr. Fredriksen awarding the last missing badge to Russel in his college and both celebrating this achievement along with the achievement of saving the bird. The movie could manage to win the Academy Award for Best Animated Feature in 2009 and is the only animated movie till now to be nominated in the category of Best Movie (Excluding the movie ‘Beauty and the Beast’ in 1992, when there was no category of Best Animated Movie). This movie shall be loved by a person of any age. So don’t miss at all. What are your favourite animated movies? Let us know your thoughts…!! !